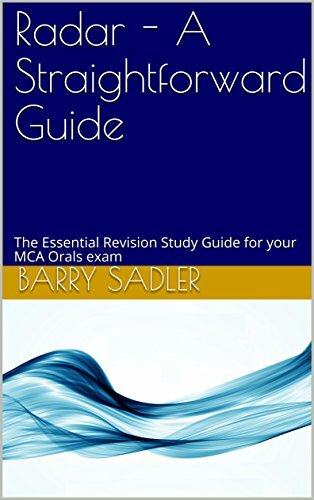 Barry’s MCA Orals prep study ebooks serve as a vital tool to support your learning. The books provide detailed syllabus supporting material in an easy to read formate and reinforces either your face to face learning or allows you to work independently for longer. 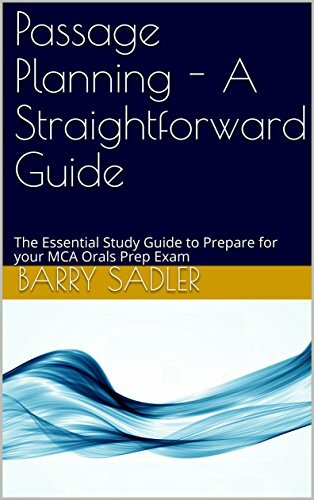 Barry has created numerous MCA Oral prep eBooks as study aids. The books been designed to maximise your understanding of the MCA Oral syllabus material. Whether you are preparing for your Orals exams, revising prior to face-to-face sessions with Barry, or updating your Continuing Professional Development (CPD) portfolio, eBooks will become your go-to revision tool. Our eBooks are available to purchase via Amazon and can be downloaded to your Kindle App on your device almost instantaneously. Purchase, download and get reading within minutes, without leaving your chair. Our MCA Orals prep study eBooks can be downloaded from just £9.99 and cover distinctive syllabus topics. This enables you to cherry-pick specific content which is relevant to your current level of study, and the exams you are working towards. The Collision Regulations – A Straightforward Guide. This annotated and illustrated first edition book ensures the reader develops a fundamental understanding of the 1972 International Regulations for Prevention of Collisions at Sea. It’s straight forward explanations and no-nonsense guidance will help deck officers of every rank, including Cadets and first CoC Deck Hands to not just understand these regulations, but to properly implement them both in the exam room and on the bridge of a ship. Easy to understand diagrams compliment the guidance and provide mind mapping graphics to aid memory. Written to include all amendments up to January 2016, this book whilst providing simple guidance still maintains the true and legal meaning of the Rules themselves. It can be used as a very effective stand-alone publication, but also provides a valuable companion to Captain Sadler’s various on-line and classroom lectures on the same subject. In this light, it forms part of a series of books designed to fully develop a candidate’s knowledge; focusing on passing any MCA Deck Officer oral exam, regardless of tonnage or level. This is the third book in the series of essential study guides for all deck disciplines undertaking either their OOW or Masters MCA Oral examination. The straightforward guide covers in detail the necessary requirements to successfully pass your orals exam, highlighting the key areas that come up in exams and how to answer Radar questions effectively. The book provides detailed explanations on common topics that cause concern as well as providing answers to the common questions that catch candidates out. This annotated and illustrated, essential guide ensures the reader develops an understanding of the principles of Passage Planning. It’s straightforward, concise explanations are aimed to help all deck officers of every rank, including first CoC Deck Hands. The book covers all aspects of passage planning from Appraisal through to Monitoring and aims to, not only, ensure understanding but, how to effectively implement safe, up to date practice on board the bridge of a a ship or yacht.